Portfolio - SenSeb Productions Ltd.
SenSeb Productions Ltd. has been involved in many different projects. You can find a selection of them below, showing our range of experience. We specialise in building websites for community and village halls. We have developed a streamlined system that allows us to create a superb website at a low price. 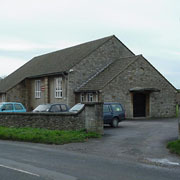 Our director is a Trustee of his local Village Hall, so we understand how difficult community and village hall budgets are to balance. Our simple process makes telling us what you want a doddle, and we will turn your new website around quickly but professionally. 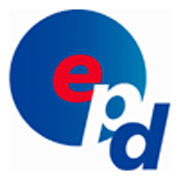 We have provided freelance techincal solutions to EPD Ltd., a highly respected company in the Oil and Gas industry, on a number of projects since 2009. 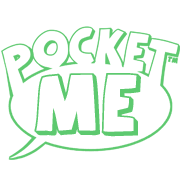 An app designed and promoted by SenSeb Productions Ltd.
PocketMe was envisaged as the perfect soundboard app - one you could record yourself. By utilising 'Bump' technology users could share their soundboards with friends. The app has recieved excellent feedback, and we are currently planning a new and exciting relaunch. A website designed and run by SenSeb Productions Ltd. initially as a non-profit project, before turning a profit from affiliate sales. 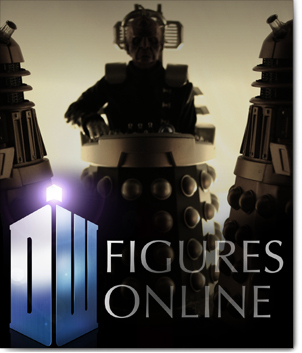 Doctor Who Figures Online was initially started as an aid to collectors of the Character Options toys, providing reviews of the figures and news of which shops were carrying stock. It gradually grew and grew in popularity, eventually attracting astouding numbers of unique hits. A forum was launched in late 2008, and it is still going strong to this day, while comic strips staring the action figures provide a unique draw. In May the website was moved to Wordpress and a brand new look was designed. It remains incredibly popular with its core visitors who regard it as a home on the internet. A website designed and run by SenSeb Productions Ltd. Initially a non-profit project, before turning a profit from advertising sales. 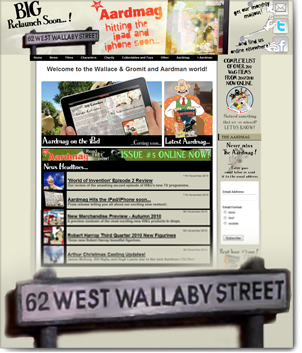 62 West Wallaby Street started life as the only Wallace and Gromit website that was regularly updated. It gradually grew to become the No. 1 stop for Wallace and Gromit fans, and became noticed by Aardman Animations themselves. From 2008 they worked closely with the website, and offered us total support in 2009 when we started the online magazine 'The Aardmag'. Between 2006 and 2008 'Wallace and Gromit's Cracking Podcast' was published by the website, sitting at No. 3 in the iTunes podcast chart for many Months. The website still recieves a lot of attention and visitors, despite news reporting curently on hiatus.